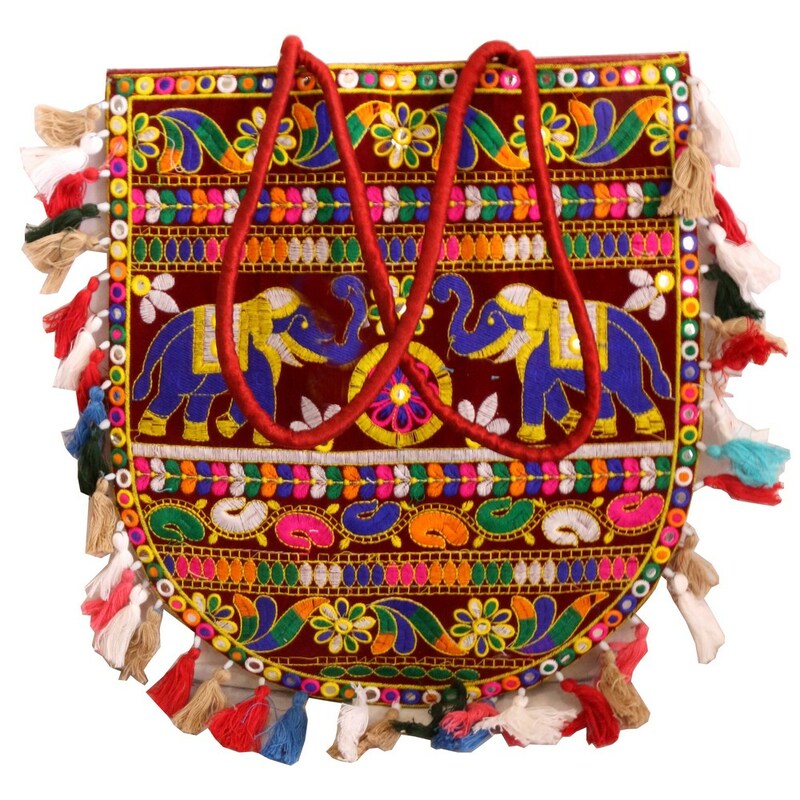 With a traditional exterior, this handcrafted bag has a U-shaped pattern entirely filled with detailed and colourful embroidery work. With small fabrics hanging and outlining Read More..the bag, this carrying element gets an extra hinge and becomes a favorite for some lavish occasions. Its exclusive colours and designs make it suitable for some special ceremonies. Show Less..